Brite Dental Care (Palatine) - Book Appointment Online! 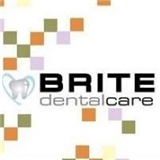 At Brite Dental Care we offer professional dental services that are sure to meet your needs. We make sure that our patients are comfortable and well informed about their treatment. We strive to provide the best dental experience. We accept PPO insurances, All-Kids (under 21 years old). If you're unsure if your PPO insurance is accepted just give us a call. Please provide the policy holder's name, date of birth and insurance member ID in order for us to verify your benefit information before your appointment. Also you can fill out New Patient Registration Forms here and we will have it ready for your appointment day. This will save you time and allow us to see you promptly. Dr.Kwon is my superhero. MY kid went in 5 different doctors, she wouldn't cooperate and have the fillings done. I was recommended a pediatric dentist that will sedate my kid so thedoctor could do the filling. I didn't need to do anything like that with Dr. Kwon, he did the filling, and I will be going there all the times. I will recommend Dr. Kwon to everyone. I am very happy with all the treatment, his explanations, communications, and professionalism. Great doctor. Thanks a lot.